Executive | Conference – Voss can be specified for every area of the floor plan, from corner office to front desk and everywhere in between. This extensive series covers full and mid scale executive high backs, full and mid scale mid backs and high and mid mesh backs. Voss executive offers unique functionality that includes triple adjustable cervical spine support (headrest) adjustable height back, seat depth adjustment, syncro movement and a wide range of options including several different arm styles. Voss task provides a superior range of comfort, support and design options. The mesh back can be specified as a high or mid back solution. 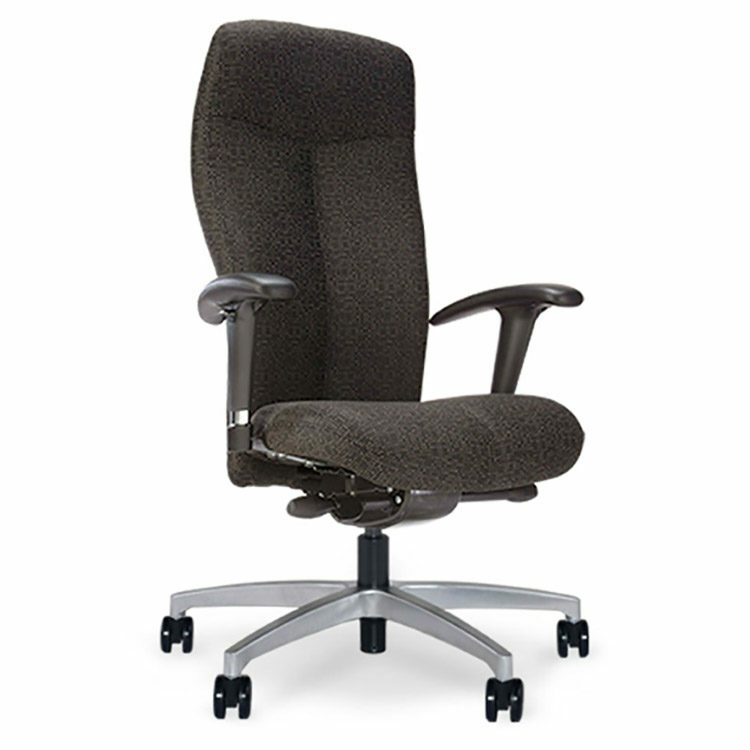 This strikingly good looking task chair provides suitability within a private office or conference room environment. A range of controls and arm styles can be specified to suit either application. A wide variety of menu driven options are also available for custom configuration.